Our amazing team. We can’t wait to meet you! Jennifer is our office manager and oversees the daily needs and operations of our office. She is responsible for insurance and billing, patient relations and other administrative office duties. 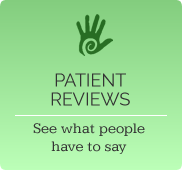 Jennifer always goes out of her way to be certain that all the details are taken care of for our patients and staff. She constantly has a smile on her face and is eager to help out with any questions or concerns you may have. Jennifer grew up in the military, so she’s lived all over, but she claims Jacksonville as her home. She enjoys traveling to discover new cultures and meeting new people. She also loves to cook, play computer games and spend time with family and friends. Mary Beth moved to Jacksonville in 2013 from Vidalia, Georgia where she was born and raised. She works as a chiropractic assistant in our office. In her free time, Mary Beth enjoys riding bikes, going to the beach and cooking for her family. She loves helping others through chiropractic care and tries to bring a smile to everyone she meets. Jenny moved to Jacksonville from Charleston, South Carolina where she grew up. She has enjoyed the life-changing benefits of chiropractic care for over 10 years. Jenny enjoys spending time with her husband and traveling. Our friendly team looks forward to seeing you soon! 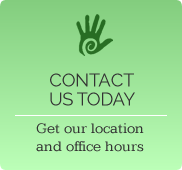 Call (904) 996-8660 today to schedule an appointment.